The Reminder tool gives you the ability to get emailed notifications when important stuff is happening. Just remember that setting up reminders is like setting up a rule. Reminders can be set up in relation to People, TouchPoints, and Opportunities. The only People Reminder currently configured is for Birthdays. And this is the only instance in which the email is sent to the contact's email rather than an in-house email address. Opportunity Reminders are set up to remind you about Proposal Due Dates. But you could simply set the repeat for every week, a certain number of weeks before and after Proposal Due Date, if you want to remember to call a lead regularly for a certain span of time. TouchPoint Reminders might be used for a variety of reasons. In the following example. we are going to configure a reminder for every time there's a meeting scheduled in your Activities. 2. Set up your notification details. Give this reminder a Title that will make it unique in the listing on the Reminders' Dashboard. Choose whether this reminder is for People, TouchPoints, or Opportunities. 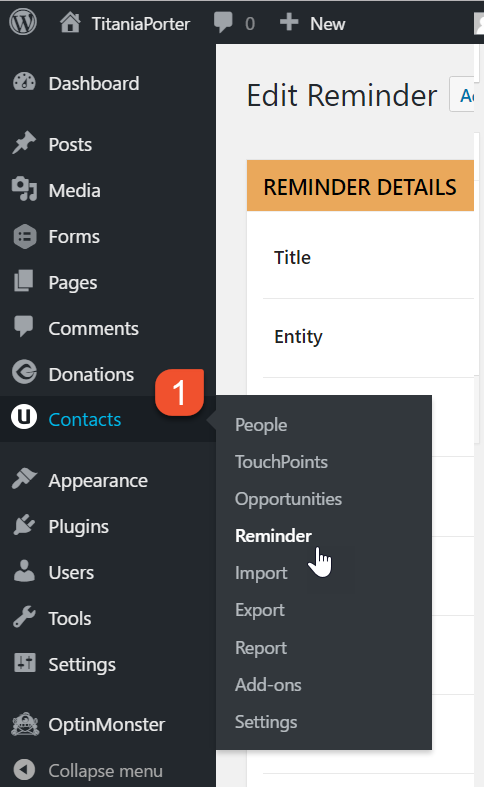 Because we designated this as a TouchPoint reminder, we can now choose which TouchPoint Type will trigger the reminder. 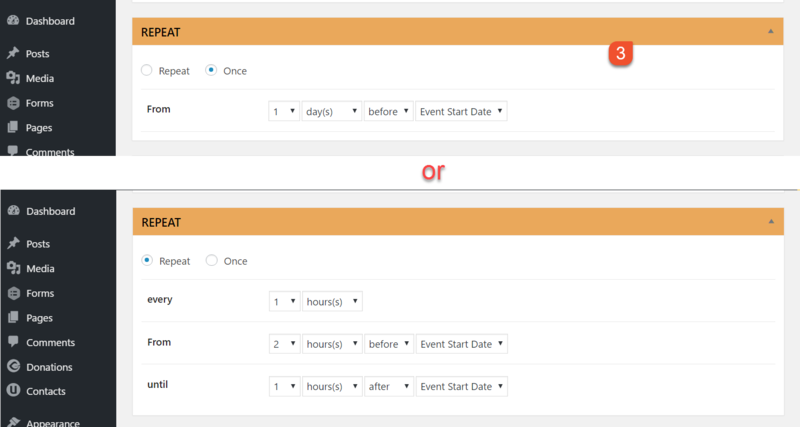 Do you want to be reminded of a Scheduled, Completed, or Canceled event? Decide who this reminder will be sent to. The TouchPoint Assignee, whoever created this particular reminder, or both? Designate the From Name for the email reminder. Designate the From Email for the reminder. Only checkmark the Pause option when you don't want this reminder to be active for a time. 3. Set up the repeat frequency. You can choose to get only 1 reminder. Just determine how long before (or after) the event it should trigger. Or you can get multiple reminders. Determine how often you want to get them and for how long. 4. Set up the email message itself. Most reminders are set up to notify in-house personnel. Be aware, however, that if you were setting this reminder up for birthdays, the email will be going out to your contacts whose birthdays are recorded in UkuuPeople. So your message will probably be less cryptic. Enter what you want to show in the email Subject line. Configure your message. Feel free to use the text editing options shown. Send yourself a test email if you like. 5. And, as always, save your work!